On this day in 1859, Wilhelm V, the Duke of Bavaria, decided to build a brewery because he was dissatisfied with the beer in Munich. He recruited the brewmaster of Geisenfeld Monastery, Heimeran Pongraz, to plan and supervise the construction of Hofbräuhaus (the “ducal brewery”), and to be its first master brewer. 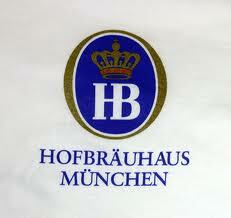 Today, the brewery is known as the legendary Hofbräuhaus and Hofbräu Beer Garden.